If you want me to speak at your event or conference, please click on the form below. Mid 2018 we merged Atenga Inc and Sales4Profit. We still focus on predicting our clients sales volume at different prices. The merged company is called Atenga Insights. While the CEO of Atenga Insights Inc, I’ve taken a step back from the operational side and focus on thought leadership. Co-founder, Sales4Profit International AB, Stockholm, (predict sales volume at different prices ): founded April 2017 - current. AXXS, VP Marketing & Consulting Services: 1997 - 1998. We sold the first internet kiosks in a too early market. Acting CMO: Exanet, Herzlia, Israel (Data storage): 2003 - 2005. Established US presence. EVP, GSAM, Los Angeles (Industry association): 2002 - 2004 1000+ members, conferences, standards development. Co-founder, PriceBeam Ltd, London (self-serve pricing research): founded April 2016. I'm a US and Swedish (EU) citizen. I’m a rainmaker. I make things happen. I never give up. I’m a straight shooter. I’m a natural leader and (surprise to me!) on many occasions been perceived by customers to be a company's CEO while, in fact, at the time I had Director or VP level positions - and the actual CEO was in the meeting. People who have worked for me say I’m the best boss they’ve ever had, calling me clear, fair and demanding. My style is to delegate: to set goals and let employees solve the issues to be solved. I guide and critique but do not micromanage how tasks are accomplished. I do not hide frustration when I’m frustrated. BS in Electronics from Ava College in Sweden. BS in Business Administration from Ava College in Sweden. In the end, we decided to merge the holding company Sales4Profit International AB with Atenga Inc and call the entire group Atenga Insights Group AB, and with the merger, we also change the names of the subsidiaries. The merger happened so we can offer both the templated and more involved, a custom, projects to our clients. The merged company now (spring 2019) has served some 600 clients, and from that, we have 598 references. The method I developed really works! Together with one of the partners from Pricebeam, we cofounded Sales4Profit; a holding company based in Sweden with sales focus subsidiaries in the US (Sales4Profit Inc) and in Sweden for the Nordic countries. In these companies, we again used our template model, but here we also developed software that simplifies and speeds up the process to measure and model how different pricepoints affect sales volume. Sales4Profit took off like a rocket quickly established a roster or happy customers. Taking the experiences from all the project done in Atenga Inc, together with two partners we started Pricebeam Ltd. A UK based company with global ambitions. In Pricebeam, the method I developed at Atenga to accurately predict how price affect sales volume was expressed in a template. Due to differences in opinions, the partnership ended. I conceptualized and developed the services Atenga been selling. These services have helped turn around the operations of over 500 businesses. We have helped CEOs and investors often to double their companies’ growth rates (and in the process sometimes even doubling or tripling revenues), doubling gross margins and in the process, quadrupling shareholder value. I ran the company as a one-man-band consulting organization, helping to establish European and Asian companies in the US. This included developing go-to-market strategies, marketing and sales strategies as well as making the necessary introductions. Exanet - an Israel-based manufacturer of enterprise class data storage. The company was eventually sold to Dell Computer for $10m. PopWire - a Swedish based manufacturer of transcoding software. The company was sold to Apple for $56m. Konan Technology - a Korean manufacture of enterprise class infrastructure software. This non-profit trade association aimed, and succeeded, in helping companies in the DAM (Digital Asset Management) industry to grow and become established. 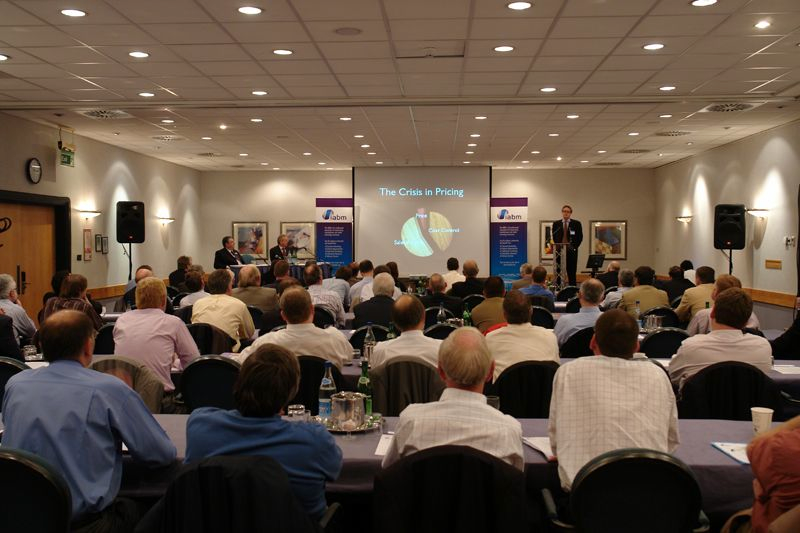 We held conferences, developed and published best practice documents and influenced the development of industry standards. Blue Order was a German provider of enterprise software to the M&E industries. I founded Blue Order Inc. as their US subsidiary, catering for US clients that included NBC, ABC, CBS, Turner Broadcasting, CNN and other broadcasters. Grew revenues from zero to $5m. The company was eventually sold to Avid Technology. Mediasite sold software for the media industry. I set up JVs in Japan, Korea and Taiwan. Established subsidiaries in Europe and generated 80% of company's revenues from these activities. The company is still active, albeit in a different industry. We conceptualized the very first internet kiosks and installed them at airports and hotels nationwide. In addition, we consulted for various vendors in the data storage space, enhancing and executing their marketing and go-to-market strategies. The company was a spin-off from Micropolis. I completed the work begun at Micropolis, including signing a $32m OEM contract with Philips, as well as smaller ($3m - $5m - $8m etc.) contracts with other customers. The company was a $450m public company and I brought the company's innovative professional video products to market. FOR-A is a manufacturer of professional video equipment. I turned around the fledgling European subsidiary and during my tenure quadrupled revenues from around $8m to $35m. I established the company as a European-wide distributor for multiple lines of professional electronic products. Most of these where sourced from the US, but some were from the Far East and others sourced in Europe. We built a strong dealer network, and many of the products became the market leading product in its category. Revenues grew from zero to about $14m. Per Sjofors is typically Swedish: intelligent, hardworking, thinks laterally. He has been a tower of strength in the enterprise we are both part of. He is someone whose judgement and opinions have my highest respect. 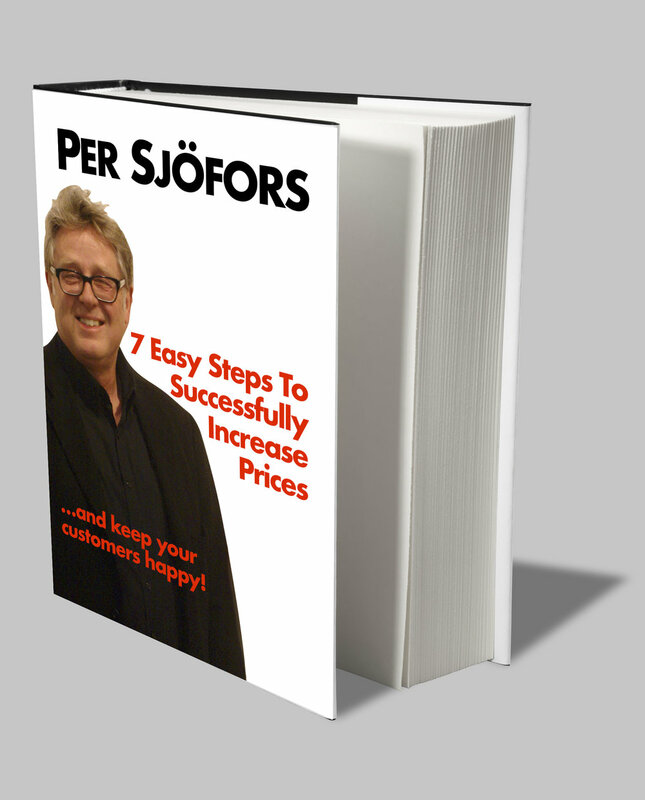 Not only is Per a joy to work with but he is also someone who genuinely takes interest in the subject of pricing and has the expertise to offer insightful recommendations. Per is an exceptional, rounded speaker who crafts solutions to very interesting questions in a manner that won't put you to sleep. Best traits: approachable, innovative, and well-spoken. I have the highest regard for Per and wouldn't hesitate to recommend him and his company Atenga for any of your pricing needs. Chief Executive, STAR Business Consulting, Inc. I asked Per to speak at my All Members Meeting on Wednesday, November 5, 2008 to discuss "Pricing in a Downturn Economy." In about 45 minutes Per provided excellent tools and case studies for my Members to learn more about pricing. I wish my agenda had allowed for more time because this in an area of weaknesses for my Members. Per was a solid speaker, quickly demonstrating his expertise and knowledge across a number of industries and size of businesses. I would highly recommend anyone needing a speaker to contact Per. I have known Per since 2002 when he was with media asset management software company: Blue Order. I've been very impressed with the work Per did for G-SAM: Global Society for Asset Management. Per is really good guy: pleasant, hard working, persistent, global thinker,... I would gladly work with him again, and even go out for a few beers. Per is an intelligent, mature, creative and hard working professional with a no nonsense style. He's a savvy executive and with his international background, possesses a global perspective on business that is both valuable and rare. Bottom line: Per's a guy who gets thing done. I recommend him without hesitation. Per has always been highly enthusiastic and motivated. He is good at thinking out of the box and can apply his skills to a wide range of situations in a constructive and successful way. I can only recommend Per. He's a hard working person who has the ability to think outside the box, which provided invaluable insights to the business problem, we successfully solved. I will continue working with him. I was an investor in a media technology company called MediaSite, where Per headed worldwide business development. He criss-crossed the globe tirelessly, showed a real facility with strategy and accessed key accounts. He's hard-working, affable, and very smart. I recommend Per highly and if there is a new investment situation that fits with my new firm, I'd definitely work with him again. Per Sjofors is top notch when it comes to digital media. He knows the media area well and provides industry leadership through his G-SAM activities. Per is also fun and high energy - a welcome addition to any venture seeking to advance work in the digital media field. I used Per's expertise and network as we were considering building a reseller network in the US. During this project I was impressed by the quality of his network and his ability to quickly put it to use for our benefit. Per is a highly creative problem-solver and hard working professional. Highly recommended if you need talent at an executive level that makes things happen. Per is a highly skilled and hard working professional. His broad knowledge together with out of the box thinking really made a difference. I am looking forward to working continuously with Per and highly recommend him for any potential business partner and client. Per is an experienced deal-maker who approaches business with creativity and tenacity. He is a "can-do" businessman who closes deals and then effectively manages and enhances the on-going business relationship. Per is extremely knowledgable about the software business and how software is used in the media and entertainment industry. Per has worked hard and successfully to generate substantial new business opportunities for international companies seeking to enter the US market. He is organized, thorough, credible, and professional. Highly recommended for management, consulting, and marketing positions. Per is a formidably intelligent contributor, never afraid of hard work, he has always made a difference: combining his ability to think outside the box, along with his analytical ability. I would give him my highest recommendations. Per brings to every opportunity hard work and imaginative thinking that makes the difference. I would highly recommend Per. VP Creative Director at Avekta Productions Inc. Per is an innovative and highly personable professional, who is fun to be with and always makes the work at hand interesting and challenging. My work with Per has always been involved with making a highly complex process or product simple to understandIn order to do that work, the supervisor must be patient, analogical and tolerant. Per understands cultural diversity and how to handle creative talent so that complex tasks are completed while, at the same time, stretching the envelope of marketing invention.